The acoustic music of the Watkins Family has thrilled audiences for more than 30 years and the Atlanta Country Music Hall of Fame recently recognized that accomplishment. The group from Toccoa, Ga. currently includes matriarch Judy Watkins and her two adult children - Todd and Lorie. They continue a path sharing their love of Jesus through acoustic music touring across the United States and Canada. Nashville, TN -- Nashville’s Artist to the Stars, Corey Frizzell, was honored for his artistic collaboration with some of music’s biggest names with the 2012 Artists Music Guild Heritage Award for Freelance Visual Artist of the Year during a star studded, red carpet gala on Saturday night, November 10th, in Fort Mill, South Carolina. Also recognized with AMG Heritage Awards were Country Music greats, Barbara Mandrell and Terri Gibbs. When "The Anthology of American Folk Music," won the 1997 Grammy as Best Historical Album and for Best Album Notes, Peter Stampfel of the Holy Modal Rounders and writer of the liner notes, commented backstage when asked if he had plans for his award. "I'm going to put honey on mine and lick it off," he declared. One can only guess what his plans are for the Brown Jug Award! 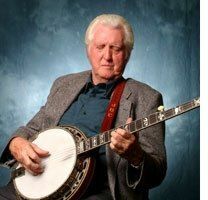 Dr. Thomas Adler announced today that the University of Kentucky Board of Trustees has designated bluegrass music banjoist and bandleader J.D. Crowe as one of the recipients of an honorary doctorate. The Doctor of Arts degree will be conferred at the upcoming Commencement ceremony in Lexington, Kentucky, on December 14th, 2012. Doyle Lawson and Quicksilver were presented with the prestigious Vocal Group or Band of the Year Award at the 18th Annual Inspirational Country Music Awards on Thursday night at the Schermerhorn Symphony Center in downtown Nashville. Nashville, TN -- Bluegrass music duo, The Roys, have been named Inspirational Country Music's Bluegrass Artist of the Year for 2012, giving them back-to-back wins in this category. "We sing what is in our hearts and true to our Faith," comments Elaine Roy. "It was a very strong group of nominees - everyone deserved this award," notes her brother Lee. "Elaine and I are so honored to win this for the second year in a row." The Roys were named the organization's Bluegrass Artist of the Year in 2011 and Duo of the Year in 2010 and 2009. Nashville, TN (October 17, 2012) -- Lee Roy of the award-winning brother/sister duo The Roys was honored Monday when he received a plaque from Power Source Magazine for his Number 1 Inspirational Country Single, "I Wonder What God's Thinking." The presentation took place during Day 2 of Inspirational Country Music Week (October 14-18) aboard the historic General Jackson Showboat. Nashville, TN -- The International Bluegrass Music Association presented IIIrd Tyme Out's Russell Moore with his Fifth Male Vocalist of the Year award from the historic Ryman Auditorium last Thursday night during the association's annual awards ceremony. Upon receiving a standing ovation when his name was called, an emotional and excited Moore thanked his parents, wife and sons, and the IBMA membership. "I want to thank each of you for entrusting me to represent the IBMA as your Male Vocalist of the Year for another 12 months," said Moore. "I'll do my best to make you proud!" Moore, who won the award in 1994 and 1997, has also received the honor the last three consecutive years, and was up against some serious competition this year with fellow nominees including Dan Tyminski of Allison Krauss and Union Station and country music icon Vince Gill. This year's honor makes Moore the most awarded recipient in the IBMA's Male Vocalist category. Later during the ceremony, Russell Moore and IIIrd Tyme Out performed their #1 song "If Your Heart Should Ever Roll This Way Again" from their recent Rural Rhythm Records CD, Prime Tyme, which was also up for Album of the Year. This One's For Him: A Tribute to Guy Clark was honored last night at Nashville's Ryman Auditorium with the coveted Album of the Year award during the annual Americana Honors & Awards. Clark performed "My Favorite Picture of You," accompanied by Verlon Thompson and Shawn Camp. After Clark's performance, the award was presented by Rodney Crowell and Brandi Carlisle. Other nominees in the category included Steve Earle's We'll Never Get Out of This World Alive, Jason Isbell's Here We Rest and Gillian Welch and Dave Rawlings The Harrow and the Harvest. Nashville, TN -- The Country Music Hall of Fame® and Museum’s quarterly program series Nashville Cats: A Celebration of Music City Musicians returns on Saturday, September 29, with a salute to singer Millie Kirkham. The 1:30 p.m. in-depth interview, held in the museum's Ford Theater, is included with museum admission and free to museum members. The program will be streamed live at CountryMusicHallOfFame.org. 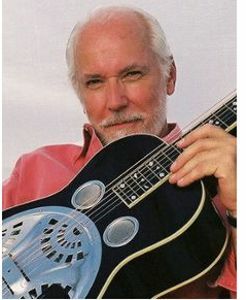 Acoustic, Country and bluegrass music artist Mike Auldridge was awarded the 2012 National Endowment for the Arts (NEA) National Heritage Fellowship Award. He will be performing at the 2012 NEA National Heritage Fellowships Concert on Thursday, October 4, 2012 at the GWU Lisner Auditorium in Washington, DC.